Itai??i? ?s a classic case of sibling harmony gone right. Elder brother convinces younger bro to choose hotel management over marine engineering; the latter gains experience over a period of eight years in luxury spots like Goaai??i? ?s Vivanta By Taj-Holiday Village and Park Sheraton and Taj Coromandel in Chennai, and then comes back to start a restaurant with him. Srivatchan V, however, clarifies jokingly, ai?? ?There was no coercion from Rajeshai??i? ?s side.ai??? We believe you. Not taking any sides here, but trust us when we say that the newly opened Food Nirvana in RA Puram ticks all the right boxes. 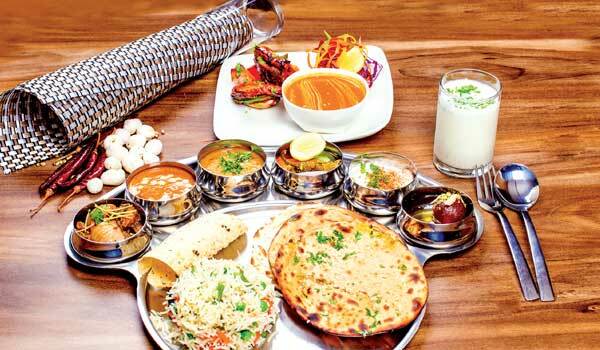 Polished and neat on the inside, the 75-cover restaurant serves interesting vegetarian dishes (how about a phool makhana mutter? More on this later), along with pastas and Chinese basics like noodles, fried rice and teriyaki vegetables. Since its launch earlier this month, they have had diners raving about dishes like spicy Mexican pasta bake, lasagna and malai broccoli, while on other days, celebrities like film director Bharat Bala show up and make their day. On the day of my visit, I start with a plate of ricotta and spinach triangles, coated with perfectly crispy flattened bread. The malai broccoli that came next turned out to be a good choice, although I would have liked more malai in it! From the North Indian dishes I chose Kashmiri naan that is topped with tuti fruit and nuts (make sure you eat it quickly before it gets cold) and the phool makhana mutter. The latter is nothing but a cheesy gravy of popped lotus seeds and peas. My favourite however remains the Tequila Creme ai??i?? a bowl of creamy pasta mixed with tequila-laced white sauce. In the end, a delicious malai kulfi is all I could take in, as I promise the brothers to come back some other day for the rest of the menu.